The good people of London have thoroughly rejected the xenophobic and racist message of the United Kingdom Independence Party (UKIP) in the May 2014 Local Council Elections. UKIP has received in these elections unprecedented financial and media support – particularly from the rightwing BBC and the supermarket chain Trago Mills – and yet still failed to make a breakthrough in multicultural London. This is not surprising considering that a local UKIP candidate for South London referred to multicultural, tolerant and progressive Croydon during in an interview as being ‘a dump’. Many UKIP members are supporters of various other far-right (and equally inept) political organisations, that also have a long history of electoral failure. 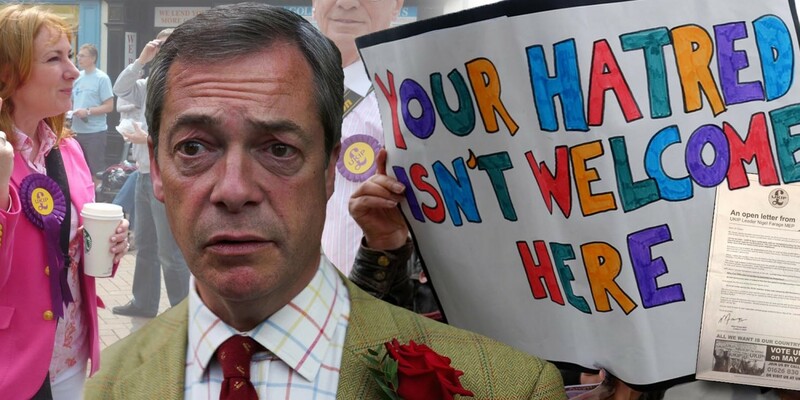 Despite the mainstream media support and excessive financial resources spent on UKIP’s campaign, it is disappointing for this lunatic fringe movement to learn that outside of London they only received 25% of the vote amongst populations where rightwing views are fairly normal.